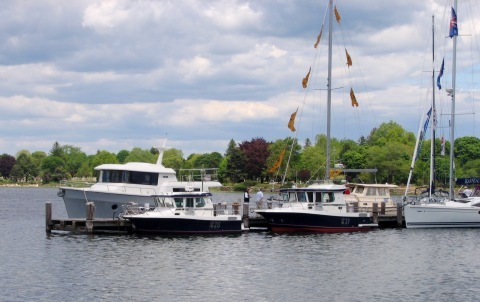 We have not idea how to pronounce that, but it seems to translate into the 39th annual Norwegian in-Water Boat Show, being held today through Sunday at Kadettangen in Sandvika right outside Oslo, Norway. Does the entire show float? If you are looking for something else in a Scandinavian boat show, try the Stockholm Floating Boat Show, also going on today through Sunday, at Stockholm Harbour in Sweden. 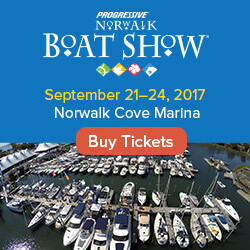 If you're here in North American this weekend, you can travel north and check out the Victoria Classic Boat Festival, Friday through Sunday, at the Maritime Museum of BC in Victoria. Our pick of the weekend - based purely on location of the event - is the Perini Navi Cup, a regatta dedicated exclusively to Perini yachts. Thanks to Diane Byrne of Megayacht News for tipping us off about this race in Sardinia. 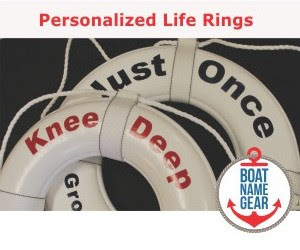 We are two weeks away from the Newport International Boat Show, and our friends from Boat Name Gear will be exhibiting there for the first time. If you are thinking of going to the show, please RSVP here and be sure to stop by the Boat Name Gear booth and say hello!